Singapore’s only landfill is more like a recreation area than a dumping ground. A typical landfill isn’t the sort of place where residents have peaceful picnics and take nature walks or go to stargaze. But Singapore’s Semakau landfill is far from ordinary. Pulau Semakau – where Singapore’s only landfill is located – is a 20-minute ferry ride from the mainland. Its appearance can come as a surprise: turquoise waters, flowering shrubs, a carpet of grass, and nature-enhancing landscaping. Egrets skim the waters of artificial lagoons that are actually dormant refuse cells. Anglers also use them for sport fishing. It seems more like a recreation area than a dumping ground. Singapore, located at the tip of the Malay Peninsula in Southeast Asia, has become increasingly prosperous since it became an independent republic in 1965. As a result, its trash has doubled every decade until currently – the volume is close to 8,000 tons a day, even after stringent recycling. Unlike larger countries, this densely populated island – smaller than the US state of Rhode Island – cannot banish refuse to the hinterlands. And using precious space as a dumping ground to be greened later is an unaffordable luxury. When Singapore’s previous landfill was filled up in 1999, the tiny nation had to find a new way to dispose of its refuse. “Scarcity of land means that an offshore landfill is our only viable option for solid-waste disposal,” says Ong Chong Peng, general manager of the Semakau landfill. Space, not environmental benefit, was the driving force behind the landfill, but careful planning created vibrant ecosystems as part of it. The 865-acre space was divided into cells for dumping refuse that has first been incinerated on the mainland. Dormant cells contain water and are used as lagoons until they’re needed to hold trash. Then, “once a cell becomes full, it is covered with soil and planted with grass,” says Loo Eng Por, manager of the landfill. Some trees, “planted” by birds, also thrive in the reclaimed land. Every night, incinerated trash is brought to Semakau in closed barges drawn by tugboats. “Burning brings down the volume of solid waste by 90 percent,” explains Mr. Loo. Initially, carbon emissions went up when refuse was burned, but now emissions are sucked back into the combustion chambers at the incinerators. Bulky trash that can’t be recycled or burned – such as demolition debris – is buried. Because the refuse disposed of at the landfill is inert and inorganic, there is nothing for flies to feast on, Loo points out. That rules out foul smells as well. As landfill material, incinerator ash tends to be relatively innocuous, says Peter Shanahan, senior lecturer in the department of civil and environmental engineering at the Massachusetts Institute of Technology in Cambridge, Mass. Because organics have been burned away, there is no buildup of gases, such as methane, which is associated with decomposition. Still, it’s important that the surrounding waters be vigilantly monitored for contaminants, he says. Semakau’s sea wall is lined with an impermeable membrane as well as marine clay to prevent any seepage of waste into the ocean. Every month, though, water around the active cells is tested for heavy metals and other pollutants. Mangrove trees growing at the sea’s edge also serve as a biological indicator of water quality. Many trees were cut down to make room for the landfill. “Some 400,000 saplings were hand-planted later,” says Mr. Ong, but no one was sure if they would take root. Now they’re almost indistinguishable from the original trees. Semakau is home to many species of birds, including the great-billed heron. Since 2005, visitors on guided walks have been able to explore the mangroves and coral reefs that ring the island. 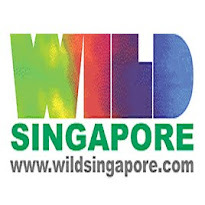 “Pulau Semakau harbors some rare plants – such as the seashore bat lily or the pink-eyed pong pong tree – that were lost on mainland Singapore,” says Ria Tan, who created and maintains the Wild Singapore website for nature enthusiasts. The National Environment Agency even organizes field trips to the landfill for schoolchildren to learn how to minimize waste. When the last of the landfill’s cells becomes full, refuse will be piled into hillocks up to a certain height, says Loo. Semakau, it is estimated, can take care of Singapore’s landfill needs until at least 2045. Meanwhile, Singapore constantly seeks out innovative technologies to reduce the amount of material that’s added to the landfill. About 3 percent of the island’s electricity comes from the incineration process. The ash is used as construction material. A new plant composts food waste, converting it to biogas, which is burned as fuel. Singapore’s experience could serve as an example to many densely populated areas around the world that are facing solid-waste disposal issues.